SS March 7 OTPs anytime after March 7. 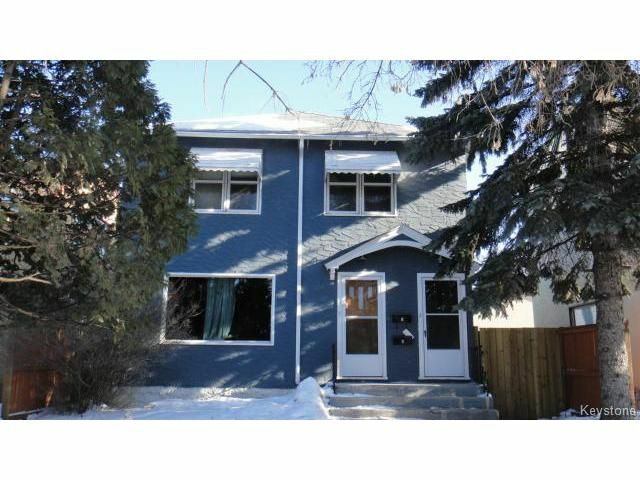 Rare "proper" duplex in West Kildonan east of Main Street. 2 brs on main, hardwood floors, some newer windows, full basement with rec room and extra 1/2 baths, 2 brs up, hardwoods, insuite laundry, paved parking for 2 with plug ins, fenced back yard. Main floor rent $1150 per month, upper unit $900 per month. Tenants pay hydro. Leases in place until July 31 and August 31, 2015.